In Scotland, it's hard to drive down the road without stumbling across a castle, so it's a matter of willpower (or, increasingly, of 'meh, another castle') to not be stopping every five miles to poke about another. 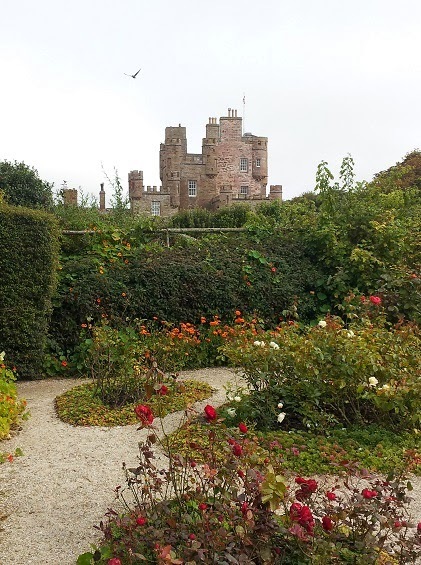 I'd checked off a couple of castles to visit (more or less by googling 'castles with nice gardens'), and once we were back on the mainland we headed first to the Castle of Mey. 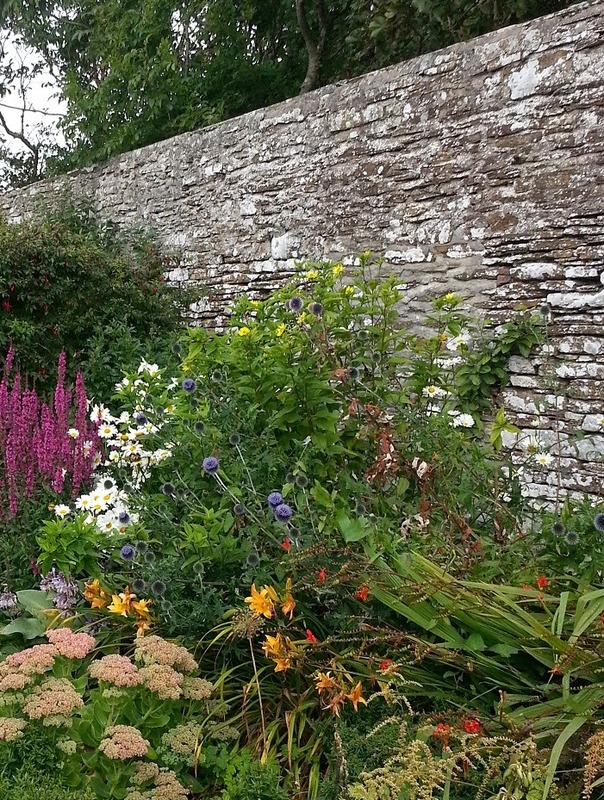 I am very fond of high walled gardens (necessary here due to the exposed position on the north coast of Scotland), but also found this castle tour rather interesting. Mey was the holiday home of the late Queen Mother (and so functions as something of a shrine to her). The tour was full of fascinating tidbits about the battle over tacky gifts, and the soundproofing to the kitchen. Writer hat very thoroughly on there. 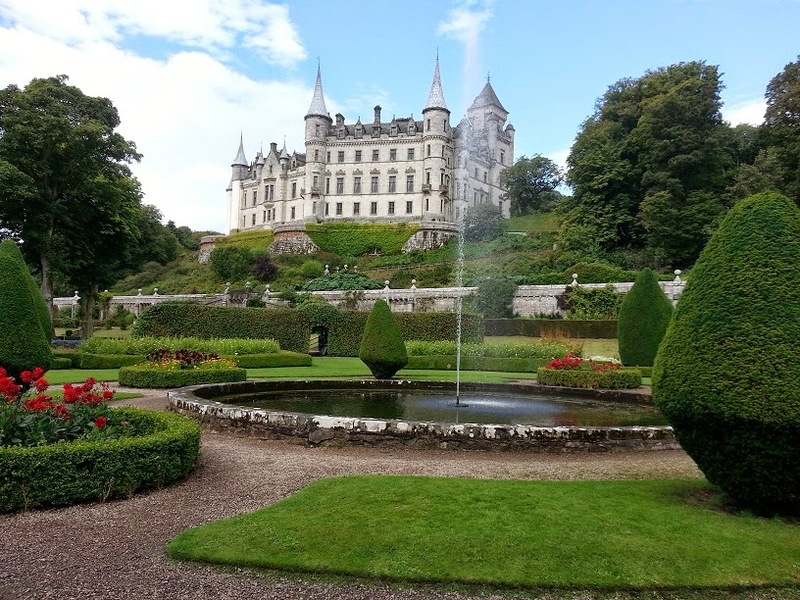 Our next visit, Dunrobin Castle, was one we were passing on the way to another castle. It had a bagpiping busker girl at the front door and some lovely formal gardens below. 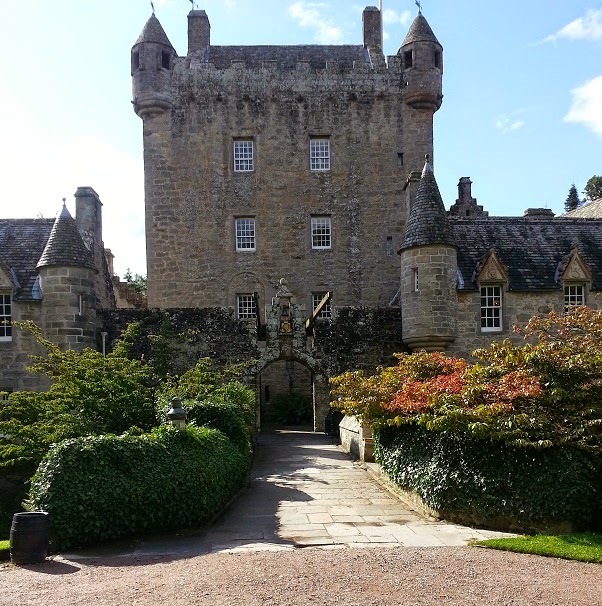 I actually ended up liking it more than the castle we were going to see, Cawdor Castle, which was perfectly nice but not quite so spectacular. All three of these castles, however, paled in comparison with a castle that had little in the way of garden at all (or roofs, for the matter). 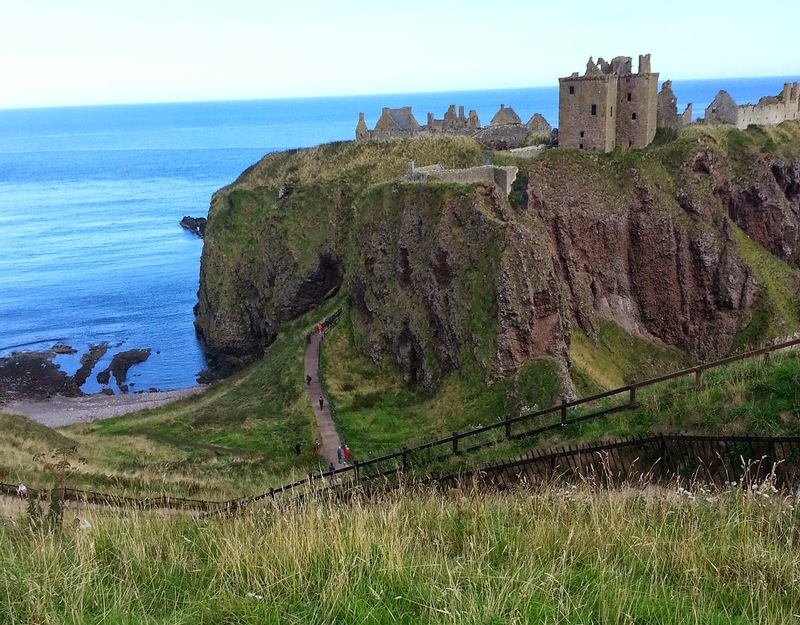 Dunnottar Castle, however, has a coastline walk, and the kind of stairs-from-the-bottom access that is exactly what I pictured for the Castle Rotation in Touchstone. 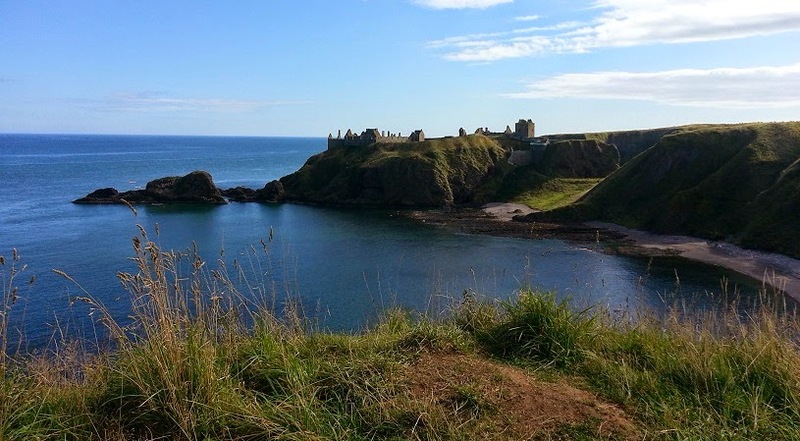 We had a gorgeous morning's walk to it from nearby Stonehaven (and a contrasting woodland walk on the return trip). 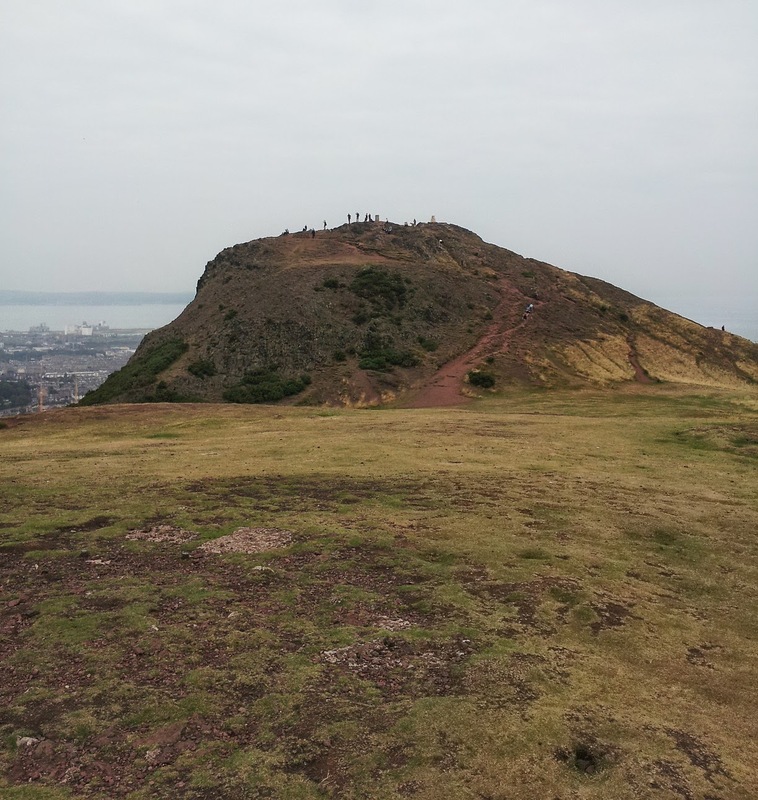 After this, however, we were fairly 'castled out', and when in Edinburgh didn't go for a tour of the castle there, but instead took in a nice view of it from Arthur's Seat in Holyrood Park. I expect we'll be seeing more castles in England and Wales, but for now a relative break in Newcastle. I remember the meh stage of castles (spiral staircases, vertigo and crunchy knees)...you get your second wind when you come across something completely different.